Cosmic Female Striker Football Player Awards. Available in 2 sizes, 180mm and 190mm high. Antique bronze football striker mounted onto a heavy cream marble base. 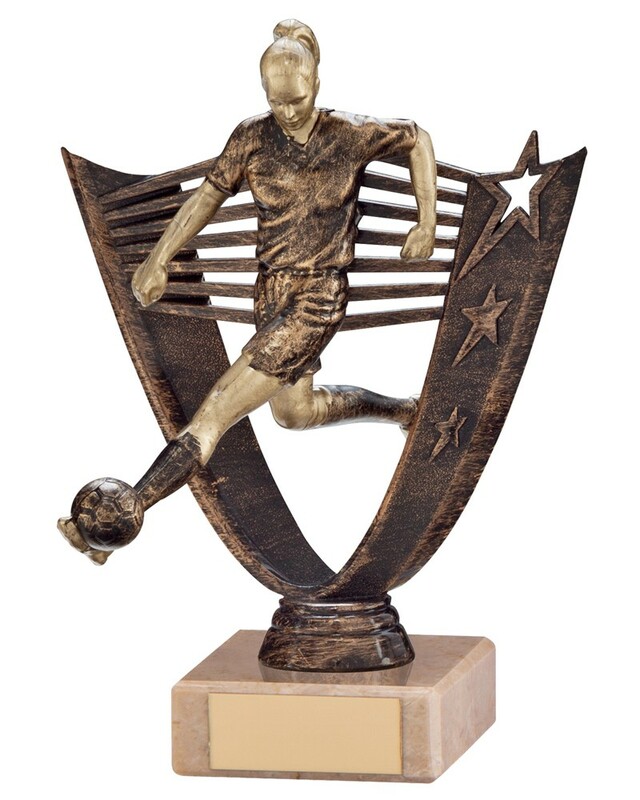 Great female football trophies for a great price.